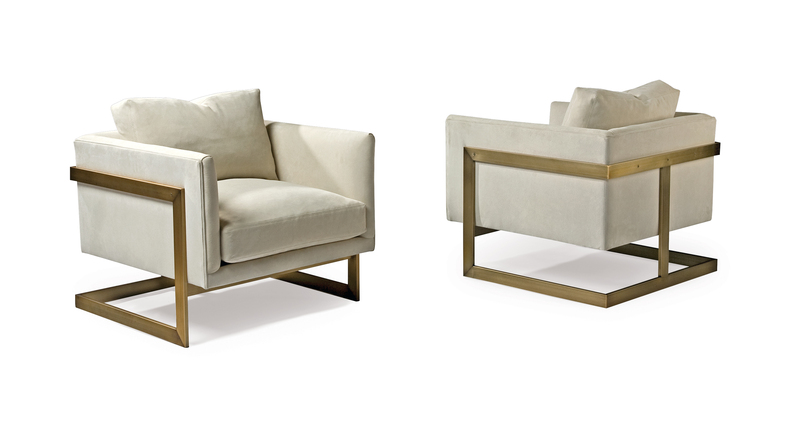 Originally designed in 1968 by Milo Baughman, this handsome cube lounge chair is a timeless classic of the modern era. 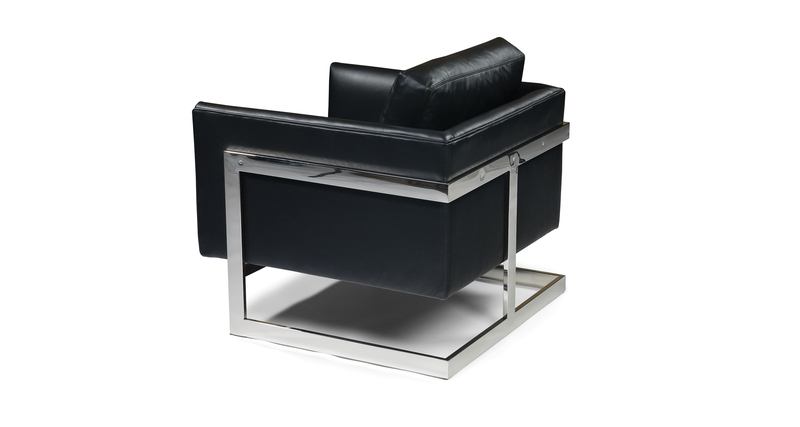 Available in either polished stainless steel or bronze finish (must specify). Select from one of our Quick Ship fabrics or leathers for upholstery. Available in polished stainless steel finish (No. 989-103) or bronze finish (No 989-103-B). Must specify.